The Irish Rovers, in their Shel Silverstein-written hit “The Unicorn Song,” described early unicorns as playing, and loving the rain so much that they missed the boat when Noah sailed away in the ark. 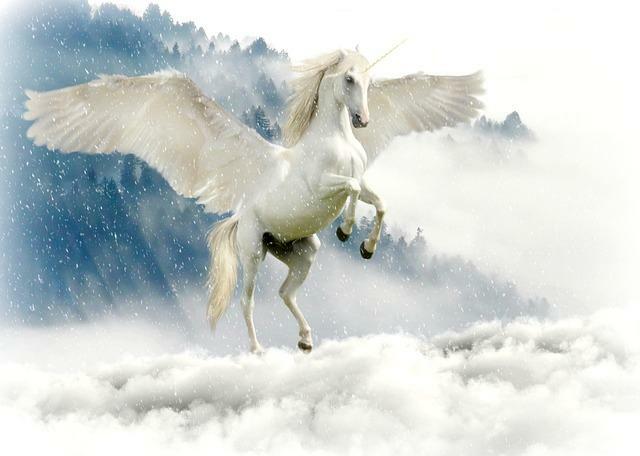 To this day, the song goes, “You’re never gonna see no unicorn.” Or are we? President Trump is a unicorn in Washington, D.C. He is the one president in recent history that systematically does what he promised, unless Congress holds him back, such as when Senator McCain shot down the repeal of ObamaCare. Keeping one’s word is simply not done in politics, with the major exception of raising taxes, which is easily done by big government-loving politicians. To show his resolve, Trump actually cut taxes, as promised. Now, he is talking about doing it again, and I am enthused that “President Unicorn” may get it done. The “Swamp,” as Washington, D.C. has rightly become known, is unaccustomed to such behavior, because “we’ve always done it this way.” How has that worked, given our $21 Trillion+ national debt, gigantic annual deficits, and loss of companies, industries, and jobs over the past few decades? The election of 2016 was about “Draining the Swamp,” and the Swamp doesn’t like it. Make no mistake about one thing – Wall Street is an appendage of the Swamp. And the Swamp hates change. Americans should embrace the changes. Due to inane Senate rules, recent individual tax cuts (for an estimated 91% of taxpayers) were neither permanent nor significant enough to stimulate wealthier taxpayers into more action and investment. “Round 2” of tax cuts are being proposed to rectify the shortcomings of the Tax Cuts and Jobs Act. The highest marginal rates, which were lowered relatively insignificantly, need to come down again, this time by a large percentage. All personal rate cuts then need to be made permanent. I would then propose a rule change that would require a supermajority of both houses of Congress to raise taxes, except in time of declared war. Americans are bombarded with lies about tax cuts being “only for Corporations and the wealthiest taxpayers.” The liberal media and most young people have no historical perspective from which to evaluate their opinions. Those of us who experienced tax cutting efforts from the past (John F. Kennedy, Ronald Reagan and George W. Bush) remember the positive effect they produced in terms of added revenue and prosperity. Effects of the recent tax changes are already showing up in our booming economy, and should accelerate. Following the prosperity of post-World War II America, Congress and several presidents have spent our way into a mess. We have gone from the world’s largest creditor to the world’s largest debtor. The decline in our prosperity and civility is shameful and needs to be reversed. It was inevitable that a Trump-like character would emerge and reveal to so many of us what should have been apparent all along. When and who it would be were unknown, but it was a virtual certainty. So, Trump happened. We should give him a chance. After all, failure is unacceptable; success isn’t automatic. A unicorn is just what we needed. I’ll take Unicorn Spit over Swamp Water any time of any day.